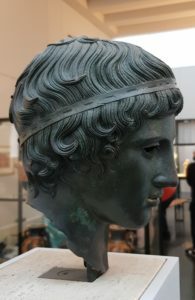 I’ve never come out of an exhibition before so full of feelings and thoughts that I had to write them down immediately just to get them out of the way so others could flood into my brain. My head was full of beauty, and of possibilities, and I needed to write things down before my mind just exploded. (This was a great excuse to find a little Parisian corner bar and order a glass of red. Just to get my thoughts in order, you understand.) I shall present some of those immediate, overwhelming thoughts unedited, in italics, with explanations where necessary (they were not meant for publication). I’ve cobbled together some of my photos into short videos just to show the visual flow of the thing, but without the music, they are but poor reflections of the original. There’s a proper video at the end, though! 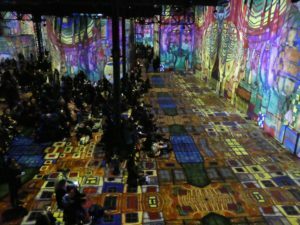 This was the immersive Klimt exhibition at the Atelier des Lumières in Paris. 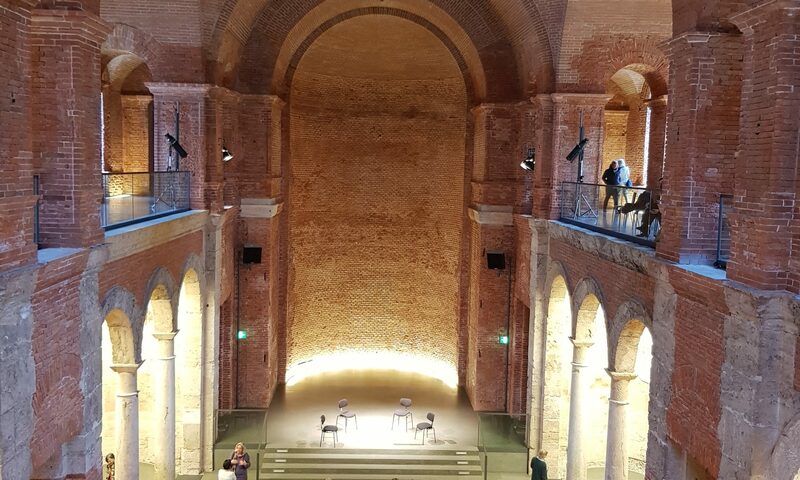 It was produced by Culturespaces and created by Gianfranco Iannuzzi, Renato Gatto, and Massimiliano Siccardi, with the musical collaboration of Luca Longobardi, and was one of the most fabulous things I have ever experienced. Entering to the last, plaintive notes of “Ich bin der Welt abhanden gekommen”, stepping into Klimt’s birch forest as it breathed its last and disappeared. I went in to the space consciously ignorant of what exactly was going to happen. I’d read a few reviews which sparked my interest, and friends who’d been all told me I had to go, as it combined many interests of mine, but I wanted the full impact, and my goodness I got it. The above was my impression of the first moments; it was halfway through the Klimt section of the exhibition, and it felt like I really was in one of his pictures, with leaves dropping gently through the air, falling onto the floor, ready to be crunched underfoot, with the plangent strains of Mahler the ideal emotional complement to the mood of the painting I had somehow actually entered. Trees unfurling gradually until the last curl let the leaves drop and glitter. I was hooked. Klimt’s paintings moved and breathed, and I was not just standing and looking, but a part of the whole. Utterly exhilarating. WHAT a use of current digital technology! Art is brought to life and set to music; aspects of paintings break away and move; images glow and then fade into nothingness; and the audience, by dint of being bathed in the light and colour, become part of the whole. The possibilities in terms of theatre are obvious, and tremendously exciting (I want my voice to dictate when worlds grow and explode – I fear I may have let grandiosity get the better of me there!). Gold on a neck close to a cheek, a hungry kiss, the subsequent sliding frozen in time but here? Who knows. The sheer sumptuousness of the Vienna Secession couldn’t have been better expressed, and the immersive nature of the experience really allowed one to smell and breathe Klimt’s abundant creativity. 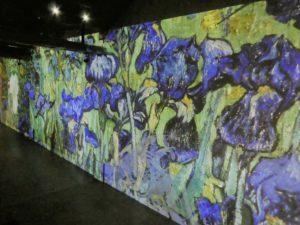 Technically, what was happening was that they reproduced various of his paintings, projected them on to the walls and sometimes the floor, added a (very relevant) soundtrack, and through digital manipulation introduced movement. I have no idea how they managed to project across such vast spaces without distortion, or how everything was covered in light and colour without (seemingly) any of the audience casting shadows, but the effect was breathtaking. 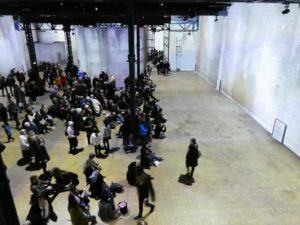 I don’t appear to have written about the jarring sensation when the exhibition finished each run, and the space was revealed in its original state; a massive concrete space, ugly, industrial (I believe it was previously an iron foundry), full of other people. All that was utterly transformed once the show got going, and it felt as near to magic as I have ever got. I spent over five hours in there, moving around the space to gain new perspectives as the exhibition repeated. Time indubitably well spent. A swollen belly, a knowing look, and oh, OH!, Schiele’s dirty, shamed, defiant bodies cover the space, cover us . . .
A logical correlation, a growth, but – like a cancer – maleficent, shocking; it grates. 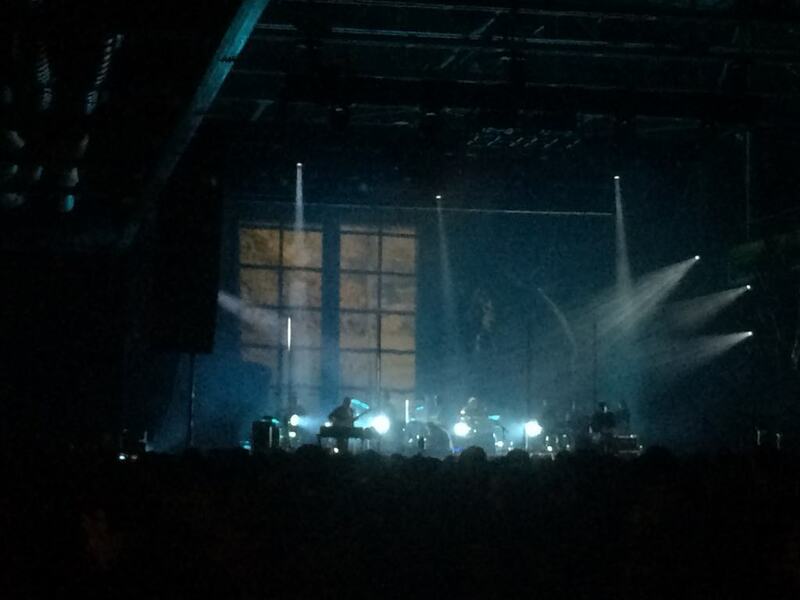 A low, mechanical hum, and his golden ship breaks loose with a mournful bass trumpeting and circles the space, anticlockwise, unapologetic. Birds fly, leaves explode. Grass grows, and you know it’s the start of a perfect new world. His gorgeous multicoloured cities grew in front of our eyes (In such fresh hope can a new architecture arise. Brick by fantastic brick, a curve here, a whimsical wall: look, no hands!). I’d always loved his work, but what these artists had done, introducing an element of movement, adding just the right music, seemed like an enhancement, and it made me very happy. I have been wondering whether one would obtain quite such enjoyment without any previous knowledge of these paintings. It would still be a wonderful immersive experience, so maybe, but I do feel that my initial knowledge enriched my experience here. The walls open up and reveal what’s behind, as that inner world revolves. Organic openings; orgasmic. Or maybe the wall’s moving? Slowly, exploring? I can’t remember how – if – this ends. The immersive nature of this whole undertaking is truly new, thanks to the latest in digital technology, and truly mind-expanding. It combines visual art with music which adds to it rather than clashing, and it uses imaginative techniques to focus on certain aspects and details, whilst providing a richly sensual overview of the oeuvre of these great artists. I have to apologise, though. This exhibition is now over. However, this was only the first show by the Atelier des Lumières. The next one is already in the pipeline – “Van Gogh, Starry Night” opens on 22 February, and I can’t imagine that will be less thrilling than this. The side exhibitions (they are not content with blowing your mind just once) include Japanese art, and a contemporary creation. (I could write pages about the stunning impact of “Colours X Colours”, the result of a two-year collaboration between the artists Thomas Blanchard and Oilhack, which was showing in the café. Maybe I shall, another time.) All I can say is that if you’re interested in the crossover of artistic disciplines, or want to believe in magic (or both), don’t miss any new output from this team! Magnificent halls building out of nothing; pillars which grow and spread, a carpet rotating and setting into intaglio in a church. 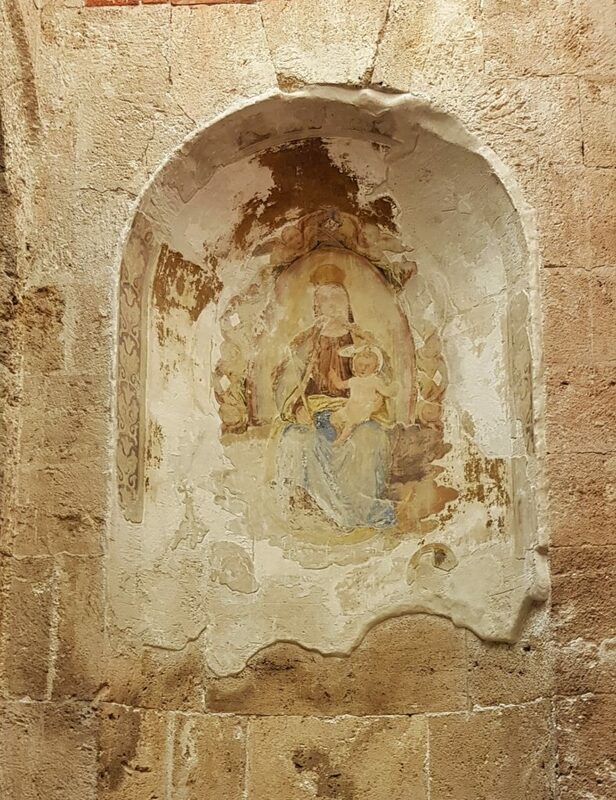 Frescoes – what’s the antithesis of fading? Creativity in visible motion. 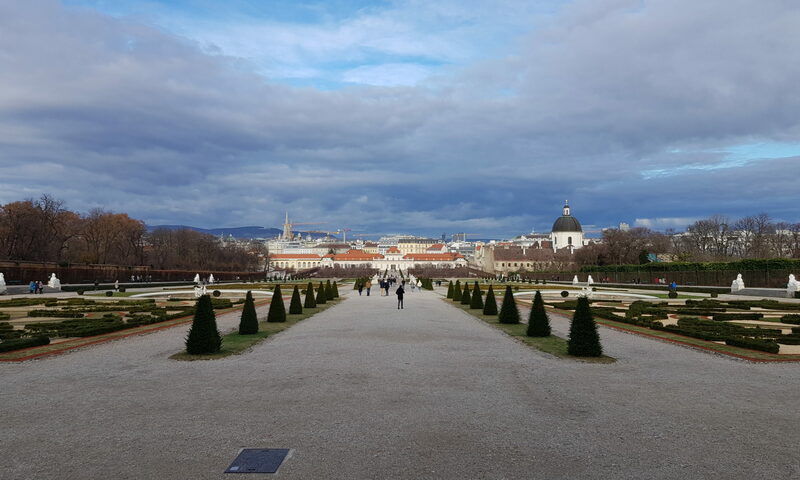 A couple of weeks ago, I had the great pleasure of being in Vienna for a few days. It had been ages since my last visit there, and I couldn’t help feeling overwhelmed by the choices of what to see. Where should I start? Should I just stick with one topic? Or district? The amount of art, architecture, music, literature, culture is just so overwhelming. My expectations and hopes were understandably high. Straight upon stepping out from the metro at St Stephen’s Cathedral, I felt so many different periods around me. The Cathedral, of Romanesque and gothic structure, is topped by a fabulous colourful roof. Its images with a mosaic of the Habsburgs’ double-headed eagle and the city’s coat of arms on the Northern side is a motive for any tourist to see. Even though St Stephen’s Cathedral has been rebuilt or extended, it feels like a perfect unity. The square surrounding it, with the lovely small huts forming a Christmas Market and the buildings leading to the Graben or the Opera make it very much part of a whole too. Fin de Siecle, Renaissance, Baroque and modern all being one. The Haas house, for instance, just opposite, was the first shopping mall in Vienna. Built in 1866 / 1867, it was destroyed at the end of the second world war and was later replaced by a new building by Hans Hollein which opened in 1990. 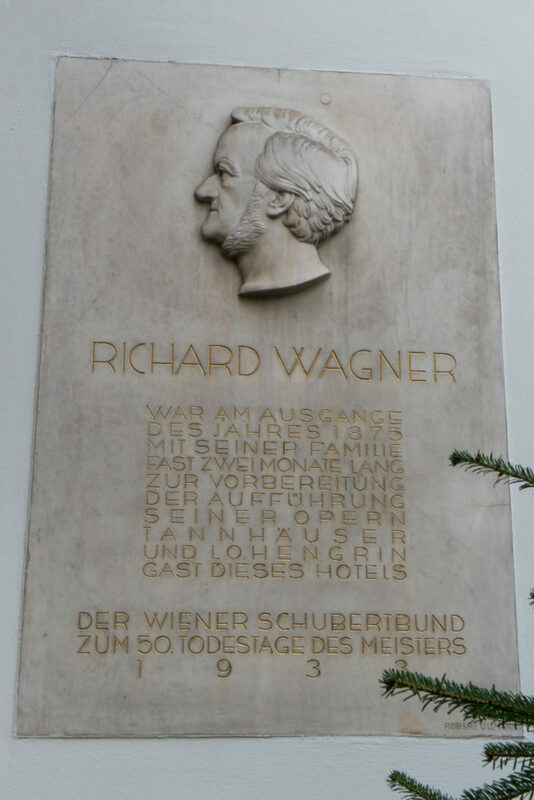 The building was initially very controversially accepted by the Viennese. Now, of course, with time it has become just as much part of the attractions on this square as the rest. 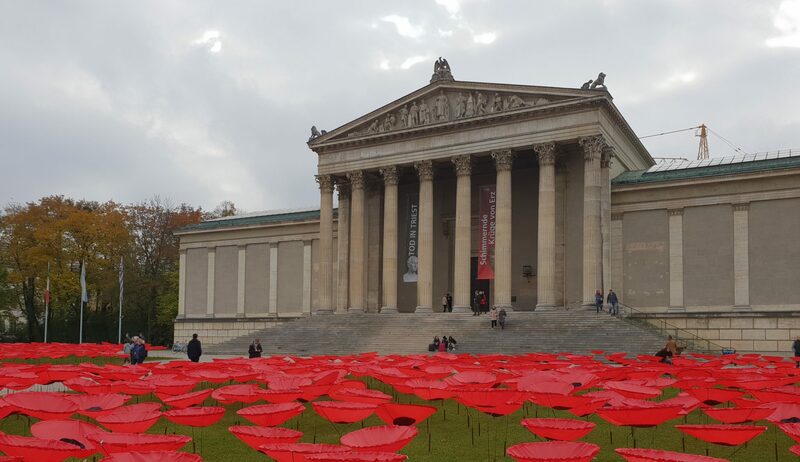 The Viennese are proud citizens of their city. This is the city where one sits in coffee houses and reads the newspaper for hours. The Viennese “Kaffeehaus” is actually a fabulous cultural institution. 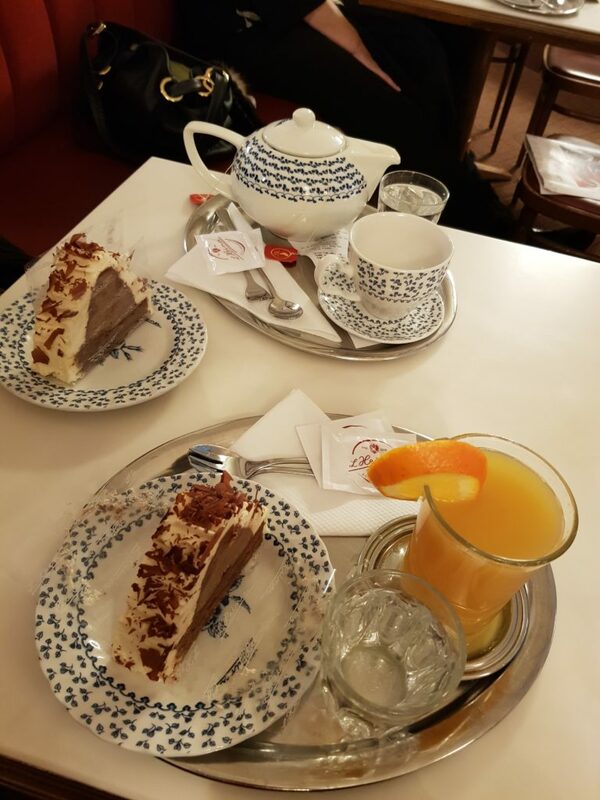 Having a melange (a Viennese cappuccino) with a Maronitorte or a Sachertorte and philosophising with a friend, gossiping, reading a book, writing a novel or having a business meeting, that all is happening in Vienna’s coffee houses. The “Kaffeehaus” is probably where most of life happens in Vienna. It has nothing to do with the coffee to go, throw away modern life which wishes to be so green but doesn’t really have time for it, and thus fails to see that actually sitting down and just allowing time to go by whilst discussing, reading, or just taking a moment for oneself is probably the healthiest meditation in today’s hectic city life. The history of the “Kaffeehaus” is closely connected to the end of the Viennese Siege in 1683. Legends have it that Georg Franz Kolschitzky (1640 – 1694) got then the first licence to serve coffee using beans left by the Turks. Some say that coffee was also called Turkish soup. The first coffee house though was opened by an Armenian Spy called Diodato. This reminds me of the later huge impact of the Austro-Hungarian empire and of its creative influences and exchanges with the East. These are still very much present in the Vienna of today. Walking down to the Hofburg, the Opera, the Burgtheater, the Albertina, the Kunsthistorisches Museum, up the Bastei, the Jewish Square, the Musikverein, the Museumsquartier, the Belvedere, the Naschmarkt, the Theater an der Wien, the Secession or Spittelberg, one experiences history all around. The Renaissance, the enlightenment years, the Habsburgs, the fin de siècle and it’s Jugendstil and the modern times too, all these can be seen and felt in Vienna. I can almost sense the spirits of Beethoven, Schubert, or Schiele, Klimt, Freud and many others walking around me. Being a musician, I am very much aware of the number of composers who lived here throughout the centuries. Mozart of course, but also Haydn, Schubert and Beethoven are the big classics. I just love that walking through the city one can read on plates who lived in that or this house. 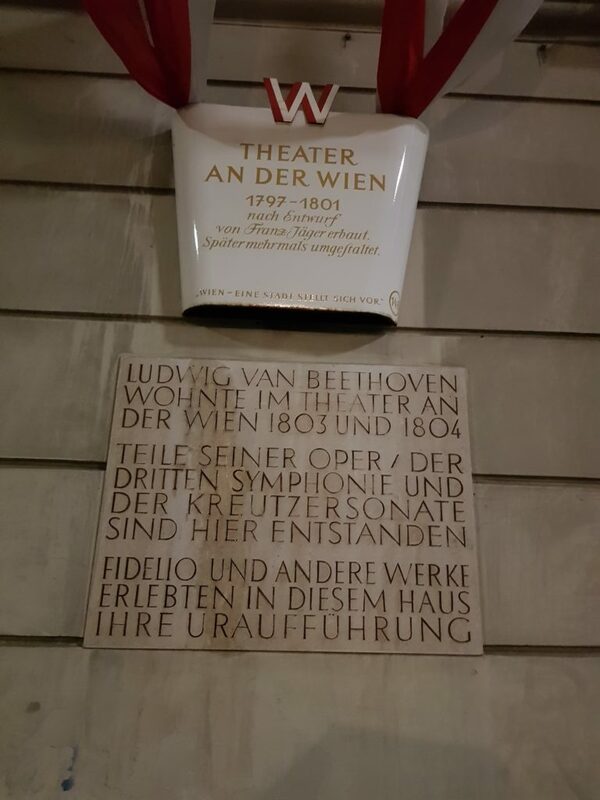 Walking to Theater an der Wien, I not only read that Beethoven‘s Fidelio was first performed there but that he also lived in the building for a while. I had never realized that one could live there too. Beethoven’s name is in all kinds of places actually, as he moved quite a lot. 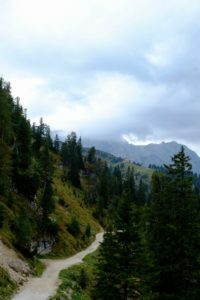 Other composers lived and created here too: Bruckner, Mahler, Korngold, Schönberg and the second Viennese school, the Strauss family,… The list could go on and on. It is quite incredible actually how many musicians lived here. Of course, I could compare parts of the old city, the first district, with for instance Salzburg. One also feels the presence of Mozart there. 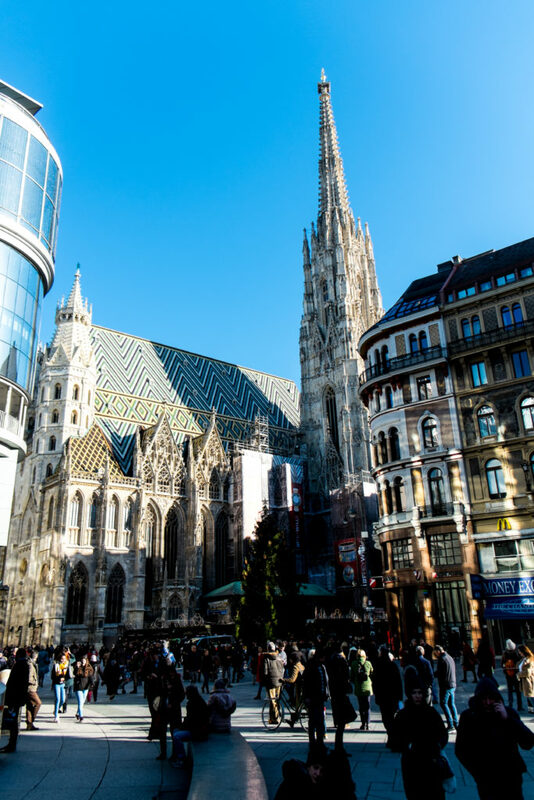 The major difference, however, is that Vienna is a city, a capital with a much wider scope of periods being felt. All different stages of growth are very clearly present in the various buildings and their architecture. At one point this capital ruled over a major world empire, the Austro Hungarian Empire. It stretched way east to Bulgaria and Rumania and south all the way down to Syria. 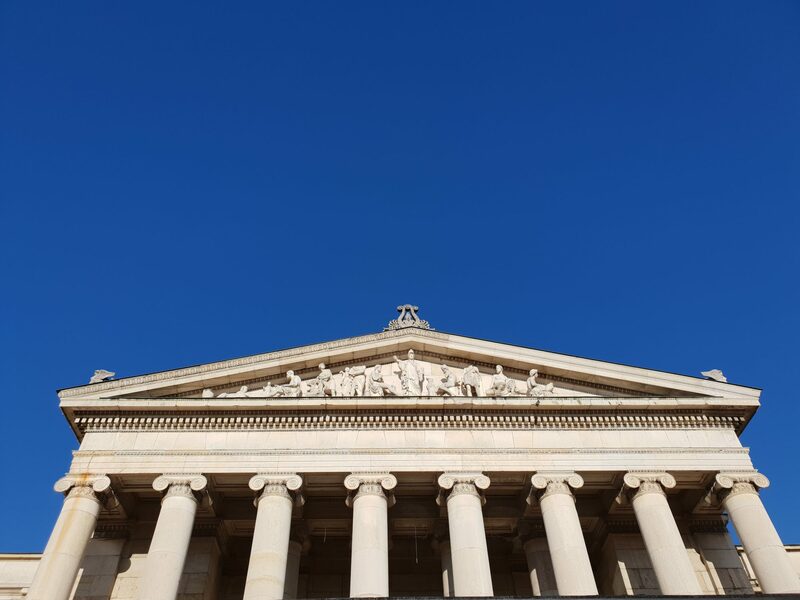 The influences and reactions to this huge empire on art and architecture are present all over the inner ring. A highlight representing the moving with the times was my visit to the Albertina. 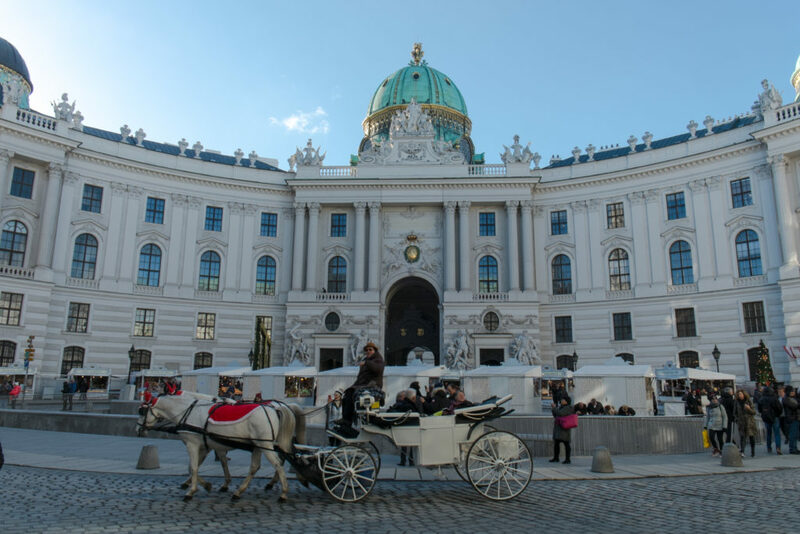 The Albertina used to be one of the biggest Palais of the Habsburgs in Vienna. Built on the remains of the city wall, it was used as a residence by Maria-Theresia’s favourite daughter, the Duchess Marie-Christine and her husband, the Duke Albert of Saxe-Teschen. 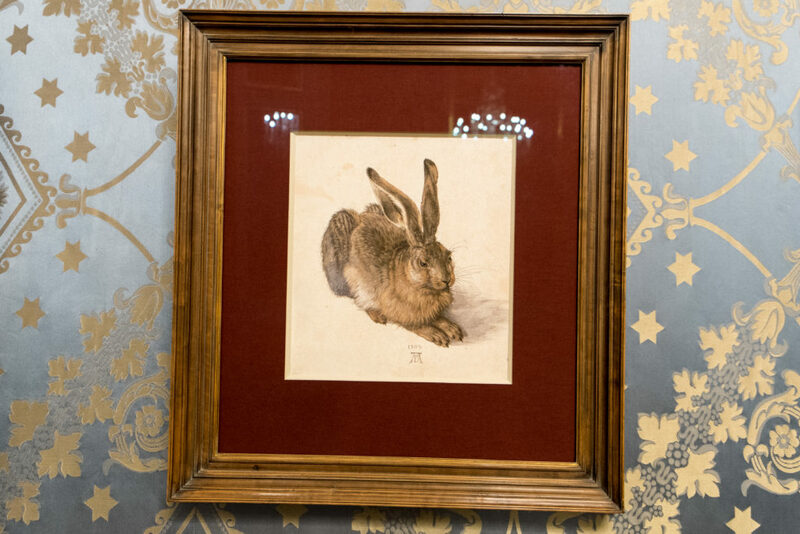 The Duke founded his collection in 1776, leaving upon his death in 1822 more than 14.000 drawings and 200.000 masterpieces including works by Dürer, da Vinci, Michelangelo, Rubens, and Rembrandt. 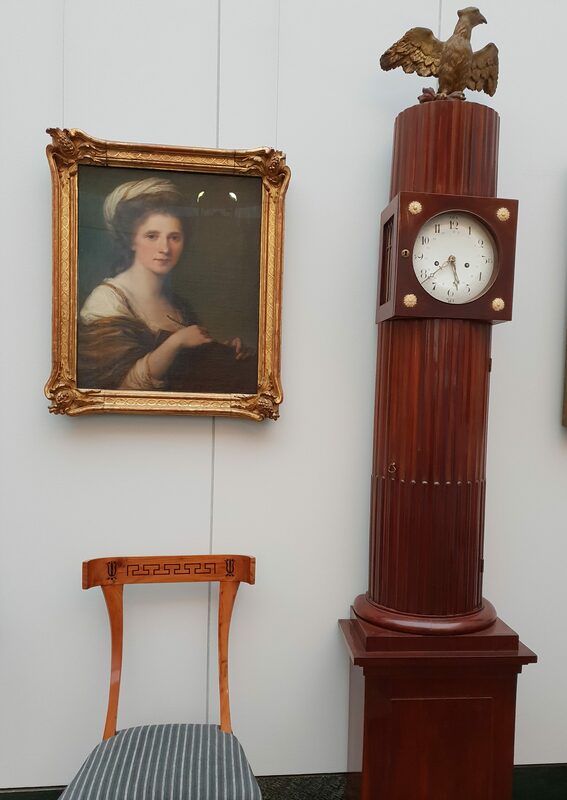 This is the central piece of the collection of the Albertina to this day and is the main attraction of the Museum. His nephew, Archduke Carl, administered and continued this collection, passing it on to his own son Albrecht upon his death. 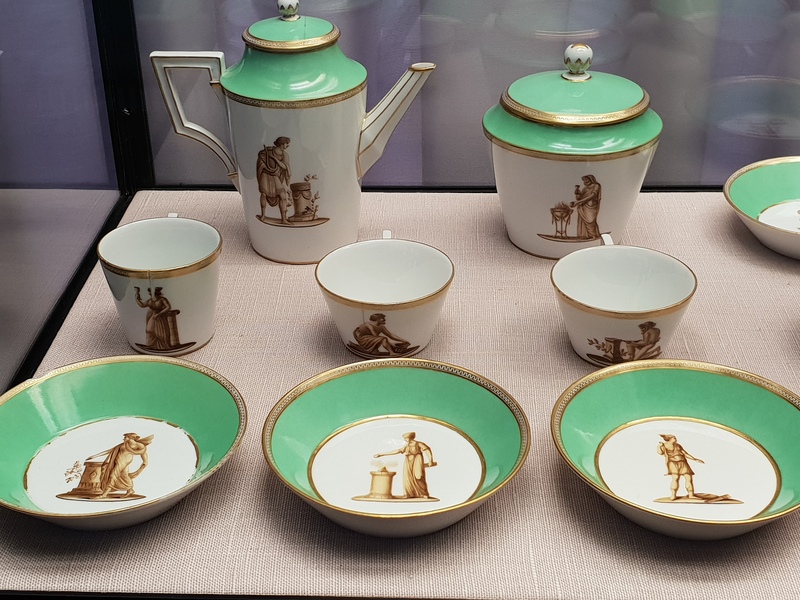 In turn, Archduke Frederick received the collection before having to let go of most of it in 1918, as Austria became a Republic. In 1945, the museum was bombed. It was then partly rebuilt and partly newly built. The main attraction of the Albertina is, as mentioned earlier, the graphic Collection. The museum however also has big temporary exhibitions. My own visit was aimed to see the major Monet retrospective, which I thoroughly enjoyed. However, I won’t go into detail of it here, as that really deserves a post of its own. The big discovery for me though was when walking up to the Monet rooms, suddenly being in the living rooms of the Duke and Duchess. 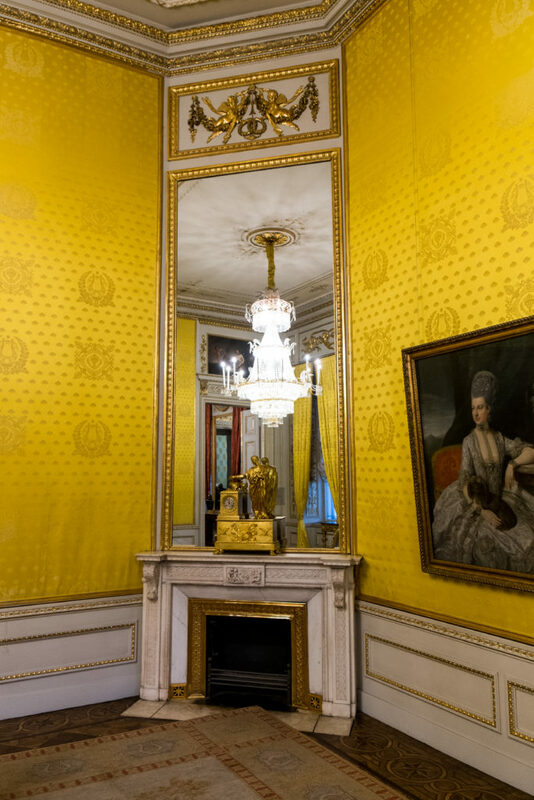 The wall tapestry, the carpets, the furniture, the paintings and lithographs of some of the artwork collected all make you understand that this was a residence lived in by great art lovers in the enlightenment period. It is a totally different world from the entrance and other section of the museum which are modern. I really could go on and on singing my praises to this city, but I really think each one should make their own impressions. What stroke me most is that culture is present all over here. For me, culture is identity, language, history, tradition, a way of thinking and of being, art in all its forms and education. 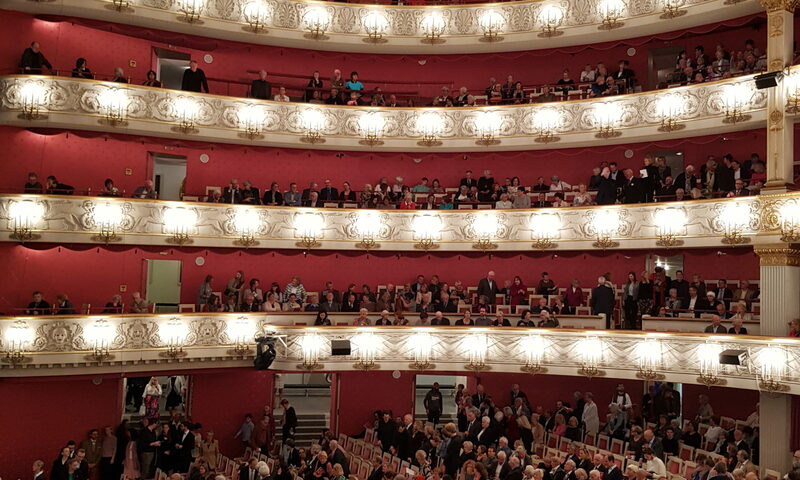 I could experience all of this in Vienna. Is this unique to this city? This is an extremely hard question to answer, other cities have some of these attributes too. However, the amount of culture makes Vienna certainly a very strong contender for that first place. It makes me eager to discover more on my next visit. Stories, stories . . .
O n the day when I was asked to contribute to this blog, I had by happy chance posted just a couple of hours earlier on Facebook about a children’s author who had attended our rehearsals for a production of Puccini’s “Gianni Schicchi” (she was there as a chaperone for her daughter), and ended up so inspired that she’d started writing a book based on what she’d experienced. I was thrilled by this, and ended the post with something like “art speaking to art”. It’s something I feel passionate about, the way in which the arts can surprise each other, stimulating new ideas, waking us up to new possibilities, and ultimately connecting us in more and more interesting ways. We’re all telling stories, in our various ways, and the difference between a good story and a great one often lies in the details. Some of those details come from looking curiously at life as it passes, at the people we meet, at ourselves; others, given that we can’t experience everything for ourselves, come from the stories others tell. And the more different ways we can find of experiencing others’ stories, the richer our inner lives become, and the more we can tell our own stories in the most interesting way possible. It’s a cumulative process, and one which definitely cannot be ordered and quantified (I like to think of it as similar to T. S. Eliot’s “These fragments I have shored against my ruins”.) You never know what might come to mind when, for example, trying to interpret an operatic role. An understanding of a particular facet of their nature might have come about from a character in a novel read decades ago; their bearing influenced by the beauty and pain of the ballet you last saw; a particular gesture cribbed from a painting seen in a foreign city; it’s all grist to the mill. Of course, this applies to all of us, not just those who work in the arts. 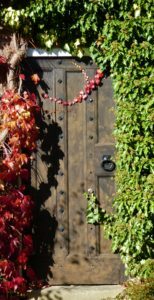 But I hope that a few of us who do can use this blog as an occasional place to drop in a few little words and hopefully inspire people out into the arts world to gather fragments and enrich all our lives. I personally can’t wait to read the children’s book I referred to in my first paragraph. Talk about shared stories! The author was inspired by our production, which was the combination of all our interpretations put together; we sang Puccini’s glorious music, which he set to a libretto by Giovacchino Forzano – and HE based his story on an incident in Dante’s “Divine Comedy”! Stories, stretching through history, being retold, embellished, refreshed, embroidered, twisted, watered down, peppered up, seen from a new angle – the more the merrier! Going to concerts normally does not take that much of an effort for me. 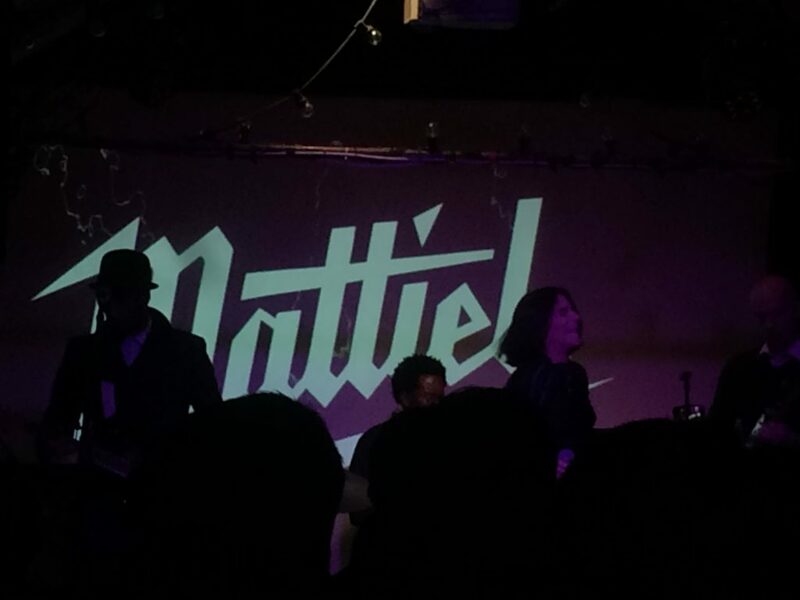 But seeing that my beloved singer Mattiel, aka. Mattiel Brown does not play in Germany, I needed to think of an alternative. Then I found out she was playing in Dublin on a Saturday – and so I went! first stop was Trinity College. And what luck, it was open-door day! I ended up spending lots of time there, seeing all the halls and libraries and the colleges´ yard. The highlight, above all else, was the Old Library. I had the chance to get online tickets in advance and so didn´t have to line up. 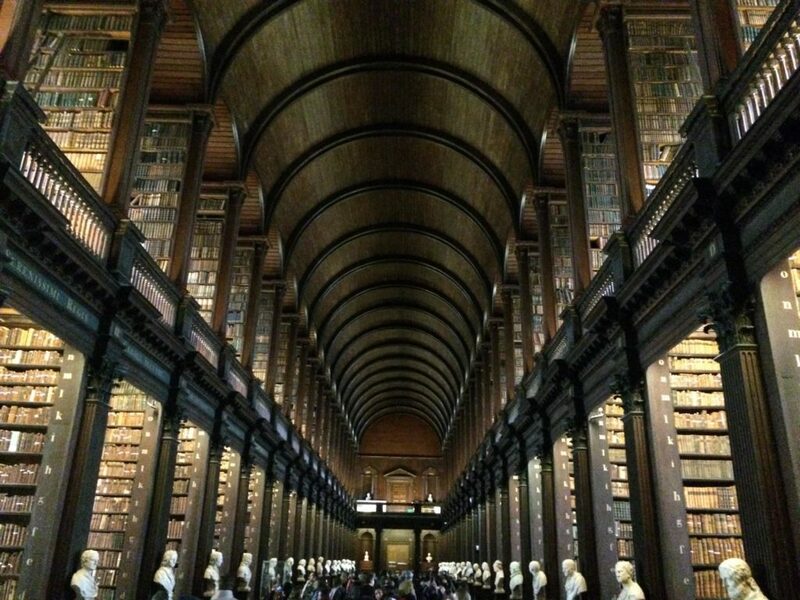 Seeing Trinity Colleges´ old library with all its history has been a dream of mine for a long time. 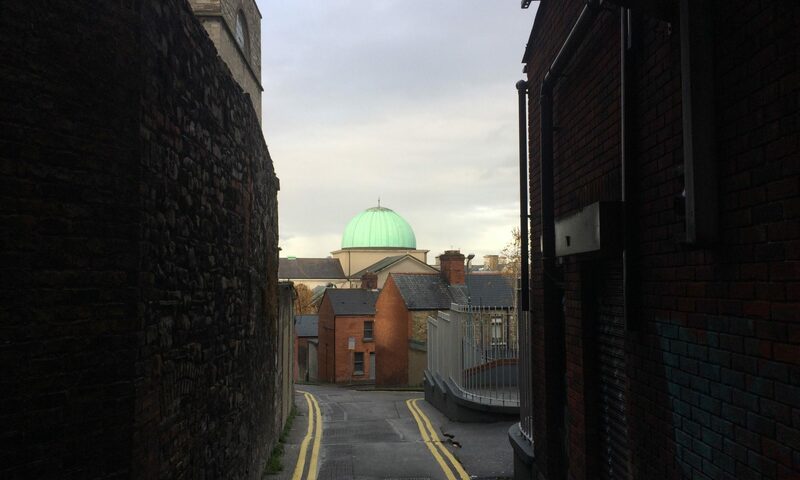 I had been to Dublin before, but never had had the chance to go there. The only sad thing are all the tourists who don´t seem to have an understanding of what they are dealing with. I have noticed before, that many people who travel just want to go to places to check them off their lists. At that moment walking in the library that feeling became very obvious to me again. And that is a shame. Still – after I managed to get over that fact, a new world opened to me. All those books, framed by statues of their authors, the wide setting of shelves and the high ceiling – they all made me forget the people around me. Old books have a specific smell. This smell suddenly surrounded me and I felt like dipping into another world, in which cellphones and flash photography doesn’t exist. After a stroll trough the city it finally was time to go to the venue of the concert. ‘The Grand Social’ at first seemed to be just a bar. Soon I realized however that this is far from the truth. ‘The Grand Social’ is a maze! Once in, you start wandering around corridor after corridor. Then finally, you get to the venue itself, which is far smaller then I expected. 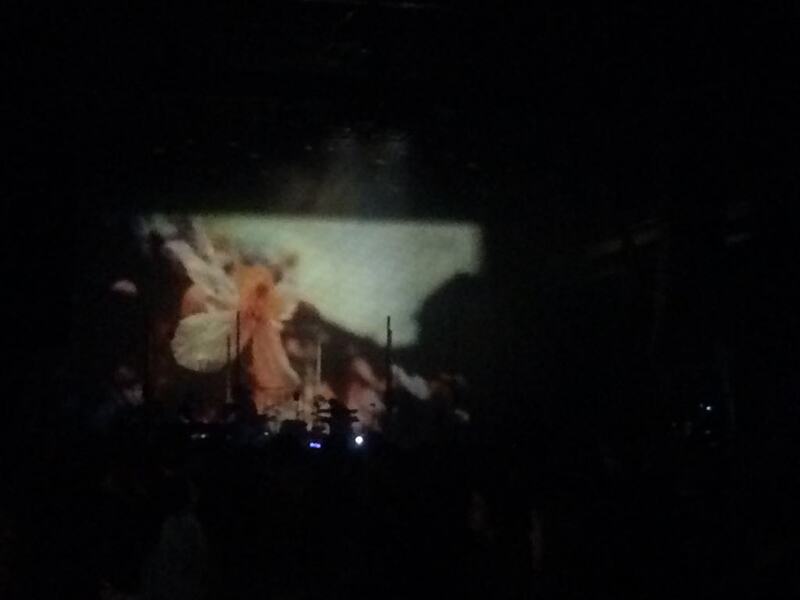 This turns out to be an advantage: it´s much cosier and during the opening act, Mattiel is standing in the crowd – right next to me- and cheering Roe up. One hour later Mattiel comes on. And what shall I say? It was horrible! The mixing of the sound didn´t work, Mattiel herself did not interact with the audience at all. Her band had to do all that for her. She only concentrates on hersef and never even smiles. Does she even want to be here? Mattiels artistic story is not the familiar one: Atlanta’s rising star, Mattiel Brown, is a rare exception to the time-honoured tradition. 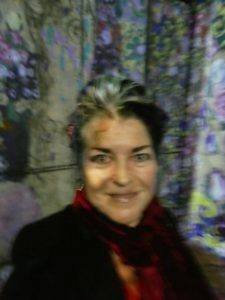 She is a fulfilled creative artist working day and night, albeit in different contexts. Working as set designer, designer and painter, she found her path to music late. It was when she started having heavy problems with her skin, that she began writing songs. She has just released her very first album. Maybe that is the reason why she doesn´t really know what to do on stage? I mean: she dances and even seems to be in trance. But she´s just not reaching me. Still, the evening was well spend. I absolutely recommend Roe to everyone! 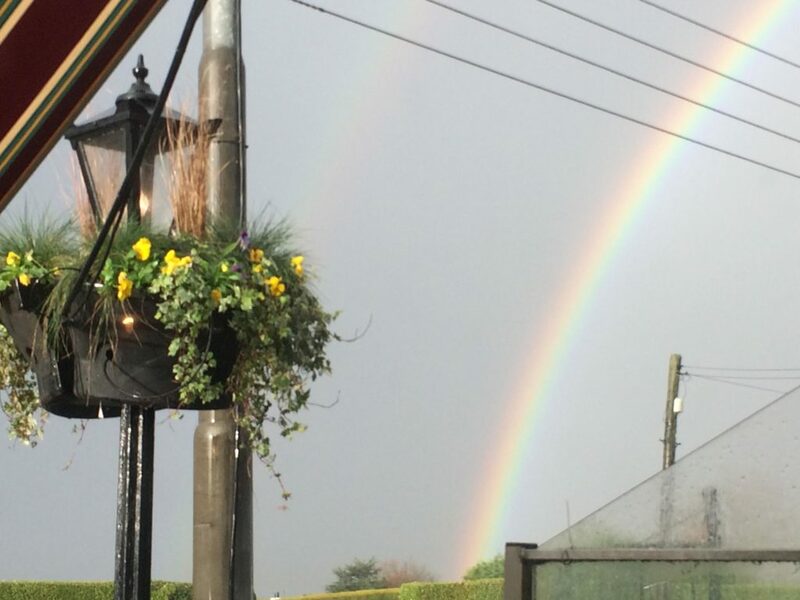 This Irish jewel is waiting to be discovered! 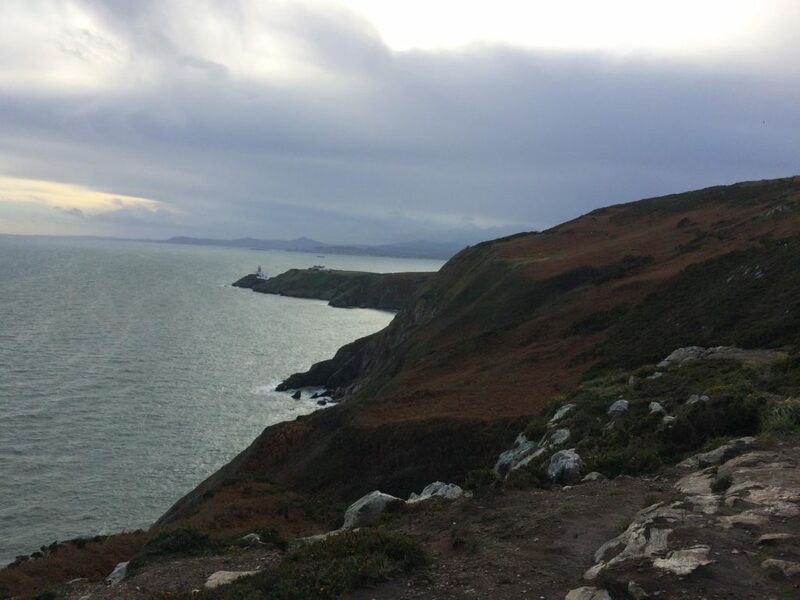 Sunday I went to the beach, hiked the cliffs of Howth and enjoyed the surprisingly good weather. And what shall I say? I did not want to leave, still did, but I definitely will go back – Ireland, you are beautiful. When my friend Anna suggested going to the Königshaus am Schachen, I first had to research what she was talking about. 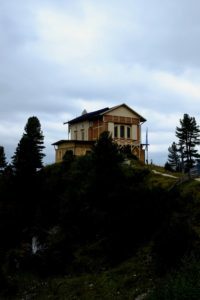 The Königshaus am Schachen is a hut, a chalet built for King Ludwig II around 1870, up at 1866m South of Garmisch Partenkirchen in the Wetterstein mountains. It is a small but well worth seeing hut, where King Ludwig celebrated his birthday and name day on several occasions. The route we took started in the Elmau Wanderparkplatz, at about 1000m. It costs a few euros to park there, but it is a great starting point. The path goes steadily up, is well indicated and is known as the Königsweg. 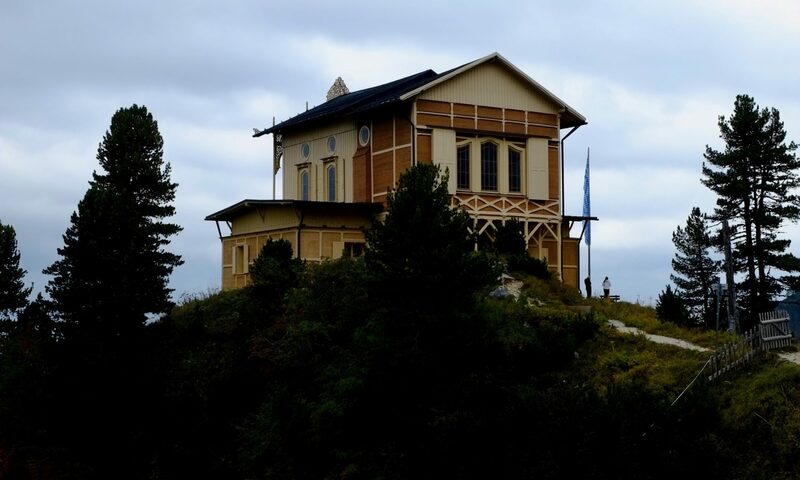 King Ludwig II didn’t walk up to his summer hut, he was taken up there on his horse carriage. The path is wide enough, first going along the small river and then leaving it below while going up. Quite quickly one gets to see the mountains above. About halfway up one gets to the Wettersteinalm, a shielding looking on to a wonderful mountain wall. From there the path is a little narrower and very windy, still, it remains surrounded by gorgeous trees., and if you look there are some beautiful mushrooms too. Then suddenly comes our first view on the Schachen hut, accompanied by the gorgeous mountainside on our left. The trees become a little more sparse from here. The view over to the hut in this most incredible surrounding is well worth it. Getting to the hut from there is easy even if it is still a bit of a walk. One can stay over in the nearby hut, which used to be the kitchen and the servants quarters for the king. We, however, didn’t as we had to get back that same day. 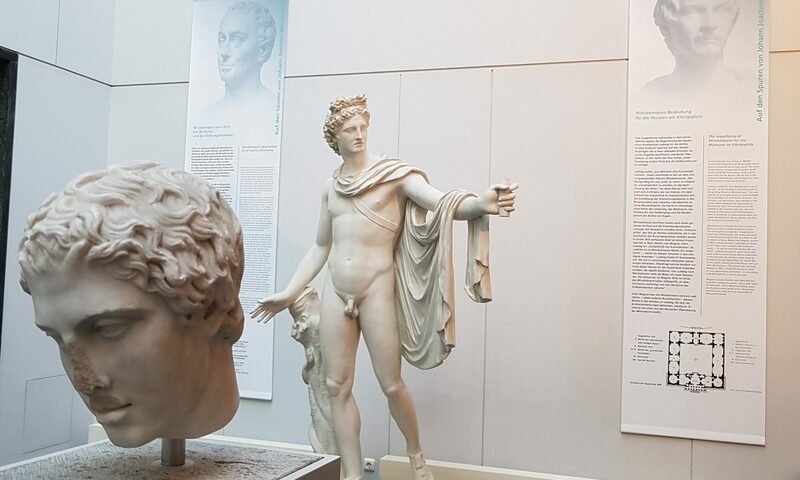 The visit to the Schachen is truly worth it. A guided tour is planned every hour and lasts about half an hour. The ground floor is rather simple, with 4 small rooms, living- dining- bed- and guest-room. The highlight, however, is above: a true Jem! One is totally amazed and surprised after walking up a tiny windy staircase to discover it: the Turkish Room! All is original here, the fountain in the middle of the room, the chandelier, the decor, the cushions, and so on. It is breathtaking!!! King Ludwig II was very precise in what he wanted. The first version of the room didn’t please him and so had to be fully redone. What we see here is what he longed for… a 1001 night dream of a room! When coming out of the hut, do go and see King Ludwig’s favourite viewpoint. Also worth it, although we didn’t see it because it was shut, is the alpine botanical garden. Going back down is following the same route as coming up. 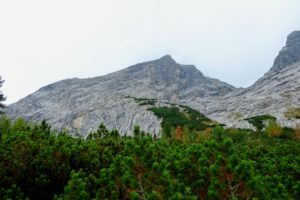 The walk up is rather long, so for inexperienced hikers do take that point under consideration. We took about 3 1/2 hours going up, and only 2 hours going down because of having to run due to a storm and heavy rains. I do not recommend running down as we did, so remember to check the weather forecast before you go on the hike and to start it early enough to fully enjoy the gorgeous views.